The island of Kythira (also known as Kythera) is famous for its beaches, albeit most of these are only accessible by boats since the inland roads rarely traverse the rocky parts of the inland terrain. Despite its location near the Cyclades - often Kythira is the stepping stone towards Milos - its an Ionian island plus it has stronger ties with the Peloponnese, Laconia. Usually few yacht charters arrive on this interesting island - it is simply to far from the nearest bases of the yacht rental firms. Yet, for those you want there sailing holidays off the beaten track, Kythira has much to offer although the main trade on the island is tourism. The capital is Chora, which is located on the south, whereas the port for Vatika was till recently located at Ag. Pelagia, but since some years decommissioned and has been replaced by a newly adapted harbour at the littoral village of Diakofti, Kythira. Its twin - Antikythira is located halfway between Crete and Kythera. The famous Antikythira mechanism was found here in 1900. 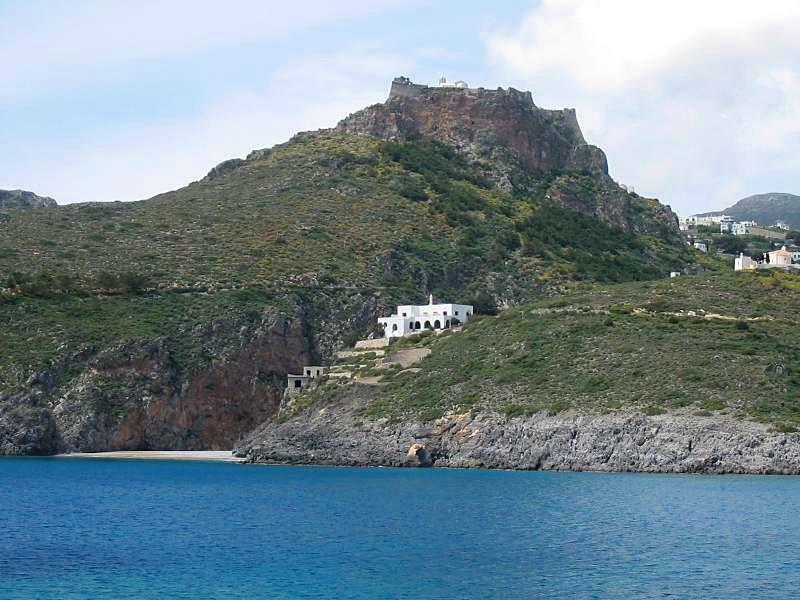 Other photos of the Chora of Milos and the Chora of Sikinos.
.: Back to the sailing Greece guide :.